This is a change in venue from last year's ICAP holiday party. 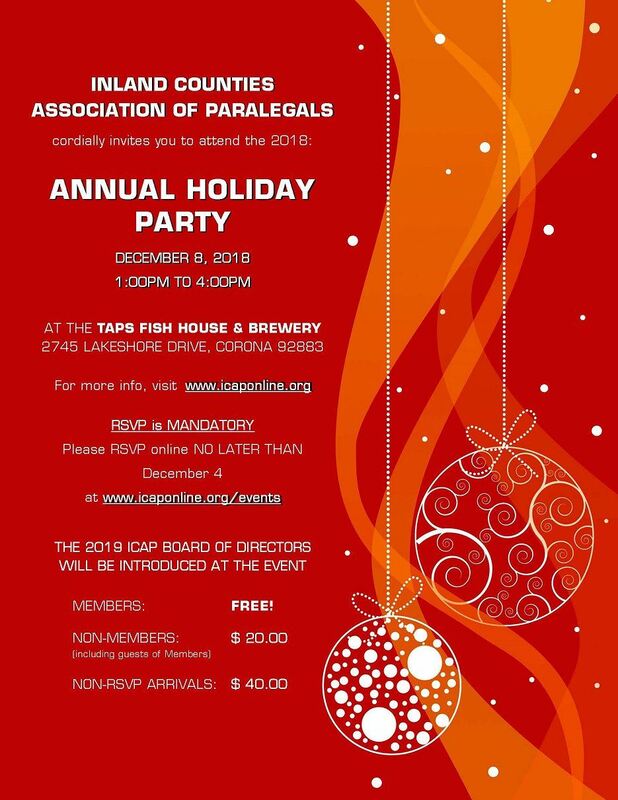 This year's party will take place at TAPS Fish House & Brewery, located at 2745 Lakeshore Drive, Corona 92883. Guests of Members remain subject to the Non-Member fee of $20.00. Even ICAP Members who do not RSVP but arrive at the venue to join the party, will be assessed a $40.00 fee. Due to location and party size requirements, this is unavoidable.